We all know how to write a resume. Even if we don’t know we always find out the basic format online and edit our details to make our own resume. We forward this CV to different companies as we apply for a job. At times you get a call for job interview and there are instances when you simply don’t get any call for interview. Have you ever wondered why does this happen? The logic is very simple, the interviewers get similar kind of resume from all across the world, which makes it very monotonous for them to read and sort out. An interview call is made only when your resume is able to create an impression in an interviewer’s mind. Send across a resume to different companies when you apply for a job such that it is unique to you. Why should one hire services of Professional Resume writers? No matter how great a writer you are, when it comes to resume writing it is always suggested to get help from a professional resume writer. Resume Writing Company in Australia provides you with good deals for resume writing services. They are highly affordable and always make a resume in the latest format. The reason for their popularity is. They write a crisp yet detailed resume for you in bespoke language. 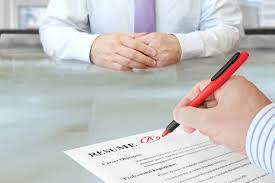 You can edit your resume innumerable times within a stipulated times to have the most satisfactory resume. They ensure 100% interviewer satisfaction while reading. The professional resume writer provides you with custom written resume. Get differently written resume each time you apply for different companies. The writers know the requirement for the employers very well and write your resume in a manner that it catches the interviewer’s eyes. At times a resume alone may not suffice for a job application. The Best resume writing Services in Sydney even provide you with a customized application letter to complement the resume you provide. Such covering letters are provided completely free to the applicant.